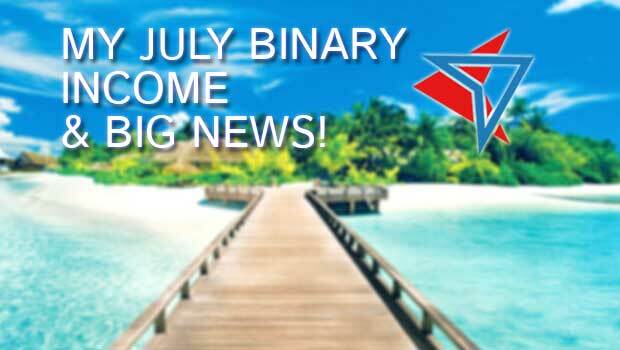 My July Binary Income & Big News! Come one come all, welcome to the 22nd edition of the Binary Today income report. Today I will be walking you through what binary options software, signals and brokers are currently working for myself and the BT readers. My main goal with this report is to provide transparency and help traders see that there is great potential for success in this market. As you may or may not know by now, I’ve also been testing a new 5 minute strategy that’s set to release in about a weeks time. Today I’ll be giving you an exclusive scoop on this new software and the immense positive impact it will have on your trading accounts. One of the most important features of the Binary Today income report is goal setting. This year, with help from the readers I decided to reach for the stars and try to hit $300K in binary options profits. This journey hasn’t been without bumps but I’ve learned a lot about myself as a trader and the goal itself has kept me laser-focused. I urge you to set a personal goal as well. Even if it’s just 1 month or $1000 in profits, set it and then focus on achieving it. With that being said, let’s take a look at the last 12 months of my binary options income. July is one of my favorite months of the year. The weather is hot, the BBQ is always in use and the pool is oh so inviting. Although, this did not stop me from trading pool-side and picking up some major victories. I keep my laptop in the shade, when a signal comes a bell rings, I sit my drink down, walk over and place the trade. Life is good! My main focus this month was on Binary5. As you can tell, it provided over $20,000 in profit but what you can’t see is that I traded less this month than any other month in the past year. That means I’ve been able to make more while trading less thanks to Binary5. I can’t wait until it’s available (early next week!). As for the other trading systems, they all took a bit of a backseat to my new obsession. Binary Today Trader performed extremely well with an 82% ITM rate so I probably should have used it a little more. I really didn’t trade much with Brain Wave, Ascend or Bullet but they also had impressive ITM rates. I did no manual trading or consulting either as I spent much less time working. This month is going to make for a drastic change in the monthly breakdown so let’s take a look at the chart now. Last month I had quite a few traders ask me what brokers I’m using to trade so here they are. My process is simple, I receive a trade from the signal software and then I place the trade with these brokers. #1 Rated For US Clients! July was a great month and I am feeling extremely positive looking forward. With Binary5 right around the corner we are set to finish the summer and start fall in style. 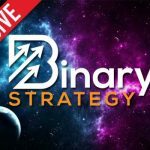 This system is the most powerful 5 minute strategy I’ve ever used and I can’t wait to see the impact it has on the entire binary options community. A system of this magnitude only comes around every few years, and in this market there’s nothing close. So my final thoughts are simple, keep winning and keep an eye out for Binary5 early next week! 45 Responses to My July Binary Income & Big News! I am not proud and embarrassed as many others like me have been scammed ripped off by foolishly blindly believing lies and deception. Hi Gordon, yes, the setup is quick and painless. If you have any troubles the support team will make sure that it is setup properly even if they have to connect to your computer. thank you for your quick response and yes i just ordered the binary5, your video and thorough blog have kept my hopes alive. Hi Gordon, I’m glad you found us here. I’m based in the uk, and found your site as I am just embarking on a personal plan to develop binary options into a viable revenue/income stream, and have been doing quite a bit of research. The first book I’m reading is Binary Options Unmasked by Anna Coulling; before I then start to dip my toe in the trading arena. Would be interested in your views/advice on other books to add to the education list. And would also be interested in any other general advice. Hi Russell, nice to meet you! Oddly enough I’ve never read a book in binary trading. I prefer a hands on approach, I learn most from trading. I recommend you see my binary 101 guide if you are interested in some hands on trading as well. 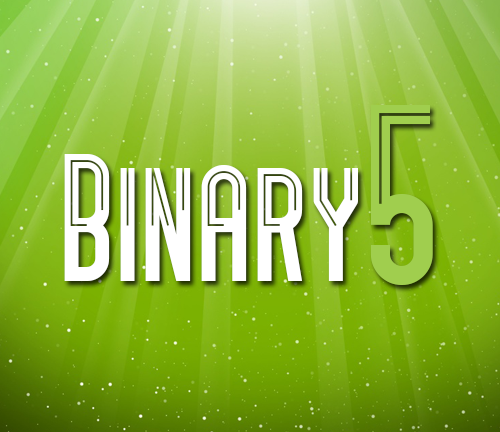 I’m having lots of success with Binary 5. Last week I won 23/25 trades. I am very excited for the markets to open, I’m ready for more trades. You were right John, I’m extremely impressed with this one. I agree Jean, loving it so far. Let me add myself to this group. 12 straight wins since the beginning of the week for me. I got BTT a couple of weeks back and getting some OK results so far. I have the news filters switched on so not too many trades available over the last 2 days. Any news on the “Big reveal” regarding Binary5? I was hoping to get my hands on it this week. Anyway keep up the good work on here. Hi Keith, it’s looking like it will be released tomorrow (Friday). Many thank’s for the update. If all goes well, tomorrow maybe one of those dates everyone remembers (fingers, toes everything crossed). Hi Willo, I have been on of those people saying trade 30M and 1H for a long time. So I had to be utterly wowed to change my mind, and I have been. Friday has come and gone – no Binary5 release. Any updates? Merely hours away Michael, still 2 hours of Friday left! Hi Wee, not yet announced. Great, Binary Today Trader will do well for you. You will know more soon Shah! You are amazing and congrats on July numbers. Hi James, where are you from buddy? What is the ITM for Binary5? Not yet announced Jim, more information is coming soon! Hi!! My John, I want to believe that today 4/8/2016 is my lucky day as I came across your website “binarytoday.com” since the beginning of this year I have lost so much money on so called binary software like Binadriod claiming to make you money 24 hours. The worst part of it is these software are promoting by top Binary Gurus in the industry, some one like Michael Freeman. They will lied to you that the software is working well, by collaborating with the owner of the software and rip innocent people.Now the main reason I write this post is because of what I saw in your site, with the performances that your binary today trader dose, even with the new one that you promise in less than a week. Please I am on my knee now begging you please I want to be sure that you are a legit and genuine, because I am waiting for your new Binary5 strategy so I can key in and start a now life. Hi Unyime, I’m really sorry to hear that you fell for some of these scams. These people promote systems that are supposed to make traders rich in one week. THAT’S NOT REALISTIC. These people are the same people that attack real traders so they can continue being seen as the “top Binary Gurus” despite never actually trading themselves. They are good at ranking high in google, but not good at trading. good to hear that, please keep the price affordable for Binary 5. Is it something similiar to BinaryTodayTrader where I need to run it on MT4 in order to receive signals and verify via Trade Assistant? Hi Brian, you’ll get the full scoop soon! More information is on it’s way. Hi John. Great news. Do you know roughly how many trades you places last month in total? I think I am placing to many. Hi Andrew, around 100 trades. Hope that helps! What price range will binary today 5 cost? Hi Ernesto, this is not yet decided. Wow! Incredible! John! What a month and what a terrific new system waits for us. What was the ITM percentage for the new system? Thanks for all you do for us. Anxiously waiting for Binary 5! Congrats on another great month! Will you have sample videos of how Binary5 works when you release it next week. Nothing like seeing in a video how it is to be installed and used! Eager to see what Binary Today 5 can do!